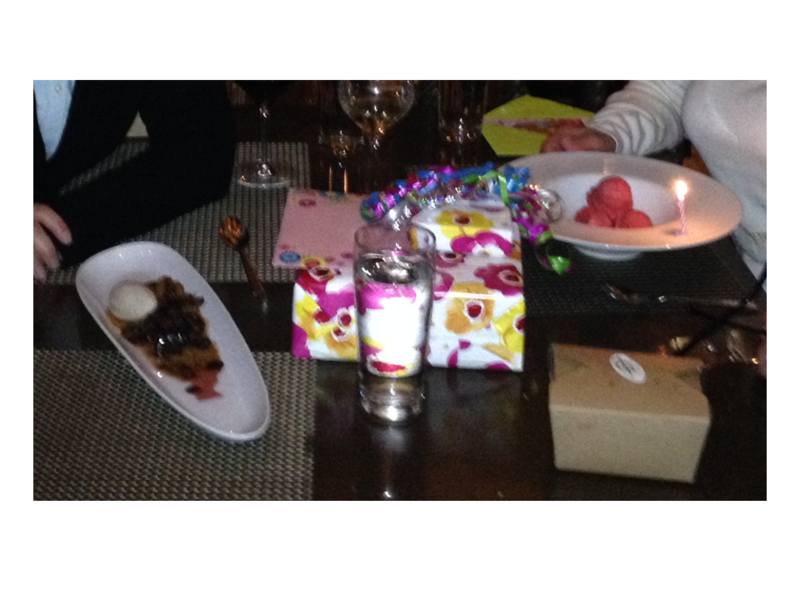 A few months ago, Mom had a birthday. To celebrate, we drove down to Ohio City to have dinner at Crop Bistro & Bar. Crop has been on my radar since we were searching for houses here in Cleveland. The restaurant is housed in a magnificent historic banking building at the corner of West 25th and Loraine Avenue. Built in 1925, the United Bank Building has a coffered ceiling, six large arched windows, and a dozen bronze light fixtures ornamented in gold. A restored mural dominates the bar area. The owners even restored the vault to use for private dining events! While the location is stunning, it has a major drawback in that it is huge. At 17,000 square feet, the restaurant feels empty even if it is reasonably busy. The private dining area might feel different, but the main dining area is definitely not cozy. The food we had was very tasty. Crop serves “new American” and emphasizes locally sourced ingredients. That night we started with the calamari, which was interesting as it wasn’t your ordinary bar-food breaded and fried calamari. Steve and I also had the cherry bomb (chorizo and Jack cheese filled plum tomatoes). For the main dish, I had the ribeye and Mom had the short rib char sui. I can’t remember what Steve had. He may have had the lamb rack, which might explain why I ignored it (I don’t like lamb). It’s hard to go wrong with a hunk of beef, so I enjoyed my ribeye (medium-rare, thank you very much!). Mom had filled up on calamari, so she didn’t make it too far in her short ribs. I don’t think she was too impressed with the short ribs, but I took the leftovers for lunch the next day and really liked them. We ordered dessert ‘cause it was my Mom’s birthday! Crop has an assortment of sorbets on hand from which Mom could choose. As for us, Steve and I shared a chocolate dessert (Figure). We haven’t been back to Crop yet, but I would very much like to return. Crop offers a “Chef’s Table and Tastings” where you can sit at a table overlooking the kitchen to watch the action. The tasting is a 7-course meal that changes constantly because it’s chef’s choice. I would love to try this, but I am going to have to plan for a day or two without meals to get me through a night of seven courses. Oh, the sacrifices! Figure: Sorbet and chocolate desserts. Happy birthday to Mom! Posted in Cleveland Calculus and tagged Ohio City.